Late post today and a quick post! Today started off very busy! The dog wouldn't cooperate...and everything went downhill from there! Oh well. 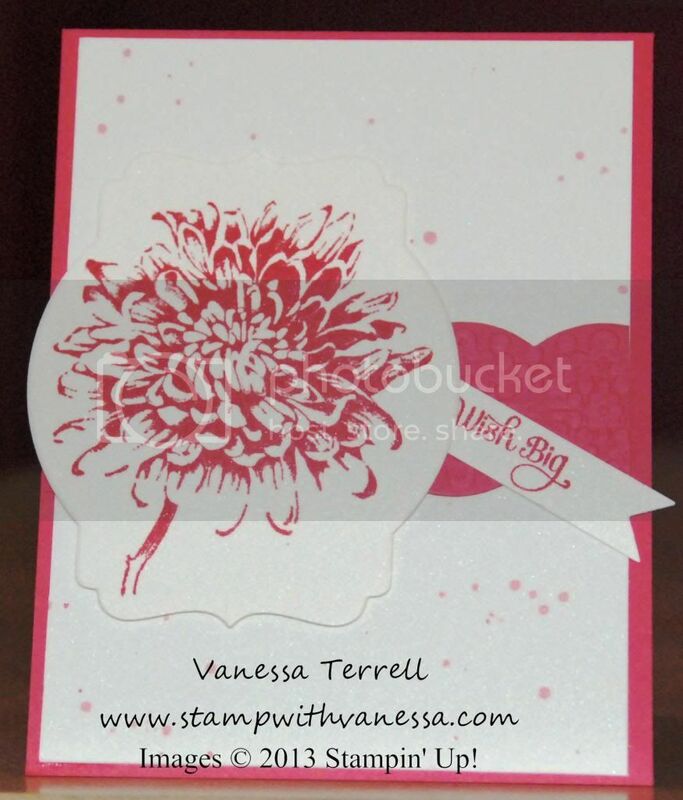 I used A Dozen Thoughts and Blooming with Kindness stamp sets to make my card today! I need a birthday card and wanted it to reflect something soft! I liked what I came up with. I also used the new Deco Labels Collection Framelits as well as the Delicate Designs Embossing Folder and the Large Scallop Edgelits. Here's the end result! If you're wondering what the specks are on my card...it's card splatter! I accomplished this by using an Aqua Painter filled with ink refill and alcohol. Very cool technique! Accessories & Tools: Big Shot 113439, Magnetic Platform 130658, Deco Labels Collections Framelits 130102, Large Scallop Edgelits 127019, Delicate Designs Embossing Folder 127023, Aqua Painter 103954, Stampin' Dimensionals 104430 and Rubbing Alcohol.